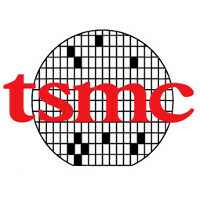 Apple has allegedly gone with the TSMC foundry for its upcoming A10 chipset, instead of the usual Samsung suspect, as TSMC is said to have a mastered the "fan-out" 16nm process for one particular customer that shan't be named. The "fan-out" packaging technology allows incorporating the silicon chips and the semiconductor compounds together, resulting in a more powerful yet more compact chippery. That's what is allegedly going to be used in the iPhone 7, leading to a thinner frame yet larger battery than what we have with the iPhone 6s, but the Apple-TSMC partnership won't stop with 16nm, it seems, "fan-out" or not. Besides the move to 10nm for the Apple A11 chipset next year, TSMC has reportedly ironed out its 7nm production process, too, and will start using it in customer chipsets as soon as next year. Now, whether Apple is one of those customers, remains to be seen, but the previous rumors didn't peg TSMC as 7nm-ready before 2018, at least not in mass quantities, so it might be left for the iPhone 8 to arrive with a 7nm Apple A12 chipset, instead of the iPhone 7s, or whatever it's called next year. Of course, Samsung is not sitting idly by, and already made its own 10nm process official in the foundry roadmap, with 7nm to follow in its turn. Why news about 2018, please , stay in present. We all know 7nm and 5nm are gonna happen, just like jetpacks and flying cars. Probably helped by people like you, who obviously hate Apple enough to use an Apple-inspired name, who keep clicking on articles about Apple to whine about them, thus increasing traffic to the site for those articles and inspiring PhoneArena to make more of them... Well done. as if you didnt keep clicking on apple article and increasing traffic, lol..
Ahh but I don't hate Apple... I may switch away from the iPhone this year if the 7 is as uninspired as it's sounding, with all the "good stuff" saved for next year but we'll see! Correct, ibend. Jimrod clicks on Apple articles too. Hypcrite much. It's same way how you click on Android articles to criticise. Are you any better? If you ever looked back - I rarely say anything negative about Android, I'm more against trolls and people hating on things endlessly, I'm positive about good products regardless and defend Apple if people are talking crap (often) because I know and use the products. I also criticise the bad things about Apple products for the same reason. You made my point exactly - in #47 I was criticising the Android USERS who bang on about benchmarks endlessly until Apple is ahead and then they all-of-a-sudden don't mean anything. In #79 I was criticising the irrelevant off-screen benchmarks because no-one uses their phone off-screen, as well as Samsung for cheating (which they did!). In neither case have I criticised Android as a platform. Off-screen benchmark is RELEVANT, because the screen resolution will not affect the score, hence a fair score versus the low-resolution iPhone! In on-screen test, the low res iPhone scores more points and iFans brag about it. So, off-screen tests matters, it f*cking matters! That's the point, jimrod is right offscreen is pointless - just to brag about speed you will never achieve using the devices... It's just relevant to those that build and test CPUs - you and I are not those people - we use devices as they're shipped - with the screen attached. But if you play video games and watch videos on you phone without screen on - that's just you, then - the rest of us love having the screen on!!! Some people just need to be explained again and again, same thing over and over. both are great tough... SD820 is blazing fast, while exynos have great battery life..
F40 and F355 are the best - wow dude - you just jumped on a new level of respect from me (if that matters at all, but still). Cheers! Lost interest in the post-millennium Ferrari's, they became messy, ugly and computerised blandness! Which means Apple depends on Samsung, but Samsung does'nt need Apple in producing it's devices. They need apple to see what they should do next and Google to provide their OS. Wait a second, who came up with 4K recording on a phone, who is the one to switch to AMOLED in 2016 or 17, who doesn't even have a VR compatible device of their own(not counting Google's support for iPhones), and who is the one late to the party with waterproofing their phones(Samsung did not invent it but they did it 2 years ago). AM I MISSING SOMETHING HERE? Don't bash a company just because you like Apple. Apple is a great company. That doesn't mean everything else is bad. Let that sink in now.